Fake job posts are everywhere and they always will be. As a job seeker, your anger is justified. Who on earth would go to the lengths of posting a phony position and waste the time of dozens or hundreds of applicants? The answers may surprise you. A fake job posting can lead disingenuous people to a wealth of information. Here are a few reasons why companies and other hiring agents post fake jobs. 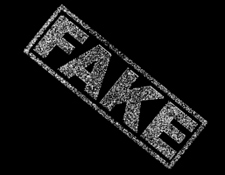 – Fake job postings exist so that employers can gauge the current talent pool. What better way to assess how in-demand a position is than to post an advertisement to fill that same position? The number of applications can be a valuable pointer on what to pay a person for a given job. It also is an indicator of how easy that person is to potentially replace. – Fake job postings exist so that companies can get a back-up for your position and keep resumes on file. Since we already know that every job is temporary, an enterprising employer might be stockpiling talent in case you make a sudden exit, or, are asked to make an exit. – Fake job postings exist to make it easier for nepotism and other unfair hiring practices to occur. When the boss wants his nephew hired, it’s not always cut and dry. In many organizations, the company needs to “look outside” for suitable candidates. Searching externally for a candidate can also satisfy any potential Equal Employment Opportunity (EEO) mandates. This is a quick and dirty way to appear fair. – Fake job postings exist so that people can add you to a list. It’s unscrupulous, but I know for a fact that in some cases, gigs I have applied for, have led to nothing more than getting my email address added to some spammy email distribution list. Some job postings exist to merely target consumers for specific products and services. Lame. – Fake job postings exist so that criminals can thrive. This is the lowest of the low, actual thieves who are looking to cull information about you so they can swipe your identity or engage in deviant behavior that involves your good name. This is one reason why it’s not a bad idea to hold back on your personal information on an initial cover letter and resume. – Fake job postings exist so that people can copy you. Resume plagiarism is prevalent. You need only search “resume template” or a variation to see the thousands of samples floating around on the Web. Some shady cats have been known to take to sites like Craigslist and post a phony job within their field. This gives them access to dozens of resume that they can copy at will and make their own. It also earns them a place in career hell. Can the big job boards do a better job policing the ads they accept? Absolutely. Would they take a hit financially due to fewer job postings? Absolutely. Would job seekers love to see these fake job posts go away? Absolutely! Just because it appears your resume disappeared into a black hole, doesn’t mean the job advertisement was fake to begin with. Not to make excuses for employers, but there are several legitimate reasons why you never hear back about a job. It could be the sheer volume of applications making it impossible to respond to each person…or it could be that the company filled the position after 10 days, but paid for the ad to run for 30. Not hearing back after submitting a resume stinks. Not hearing back after an interview is even worse. Before you invest your time applying to a help wanted ad, do your best to determine if the job posting is legitimate. Does it appear on the company’s website? Is there someone on LinkedIn currently holding that position? Is the job title out of sync with the pay range? A little research today can save you a lot of time tomorrow. I’ve been the victim of about 3 or 4 different schemes this year alone. The first one offered “free” training and “guaranteed” placements. However, there was a registration fee of £3000 and the placements only lasted for 1 year. The second made me go through an online test and an interview. When the letter arrived it read “congratulations you have been successful. You have been placed on a waiting list and we will be in touch IF a vacancy comes up”. Finally, I received a letter from a company thanking me for signing up with them and that they were interested in me. I had not signed up with them and they were not interested in me. They wanted me to register with them for a FEE. Its a shame that employers have no legal or ethical problems in posting jobs they are not serious about filling. Also, if so many people are available to interview clearly the employees have way too much time on there hands. How do I know this? I had been accepted for a position, but the paperwork went on and on. They told me they were re-posting the position! Even in this case, there was perhaps one other candidate who was extremely weak. There was no one even close to the skills and credentials, and unusually because of the proprietary nature of the job, there were not a large number of applicants. So I saw this system being used even in a case which had just about zero chance of anyone coming for with a frivolous discrimination lawsuit. Note: The HR department of the large company exists for one reason, and it is not to help decipher your benefits and provide you with great internal service. (If you have great internal service from your HR department, and you work for a big company, let me know, I think I might want to work there, because that to me is a miracle.) HR exists to prevent the company from getting sued. Thus they have an army of people and systems that spend all day processing the above nonsense. This makes candidates think they have a chance or that a new external person will be hired, which is false in many cases.